Baia Baia provides the mobile-friendly website as well as Baia Baia app on Android. Used Magento, the worldwide leading customisable e-Commerce platform, to bring the best online shopping experience. The multi-store function allows customers shopping conveniently in different locations at one destination website. Baia Baia – a world where anything is possible and everything is achievable. The fashion world is in its transition to focus more on personalised products to penetrate into the mass market. Baia Baia is deep in that trend, and they know exactly how to elevate customer loyalty and engagement. Baia Baia is a fashion e-commerce website where customers are able to enjoy customising their own personal products, i.e. flip flops. Savvycom guarantees to deliver a quality final product even though dealing with many obstacles and hurdles. To understand and satisfy our client’s requirements, the Savvycom team communicates and maintains the connection with clients frequently through online pitching and discussing, back and forth emailing during the project’s process. Many ideas and changes occurred, but all requirements from clients were fulfilled by our hard-working technical team. Magento, the worldwide leading customisable e-Commerce platform is integrated into the Baia Baia site, that offers an all-in-one tool to take control completely all features/functionality of the site.The platform allows the site to be customisable from the look to functionality to fit the brand image, mission and user’s habits. Besides offering customisable frontline, Magento provides to website owner deeply insightful analytic options in order to help grow online revenue as well as attract more traffic, engagement shoppers and drive conversions. Baia Baia applied Product management function in the website which allows admins to take control of all functions related to the product such as price setting, promotion and campaign, analytical reports from specific periods, etc. The function provides Baia Baia’s page admin with a perfect tool in order to manage the order process step by step. Order process will be divided into small details part in a particular order from start to end such as status, processing, payment pending, cancellation or complete. Endless product combinations mean unlimited opportunities for creativity. The brand is chic and fashionable – never silly. Still, it’s always fun. There’s an optimism to Baia Baia – as if the brand itself is an invitation to a world where anything is possible and everything is achievable. Baia Baia is a brand about creating instant joy. Making uplifting moments. When customers encounter Baia Baia, their spirits soar. Baia Baia understands that customer is the centre of the business, and with the help from Savvycom, friendly user-functions are built in Baia Baia’s site to optimise UI (User Interface) and UX (user experience) bringing the most convenient online shopping experience to customers. The highlight function that Baia Baia offers to customers! Customers are able to log-in to different locations to purchase the products. Each store has a different variety of unique products range from style, materials to prices. 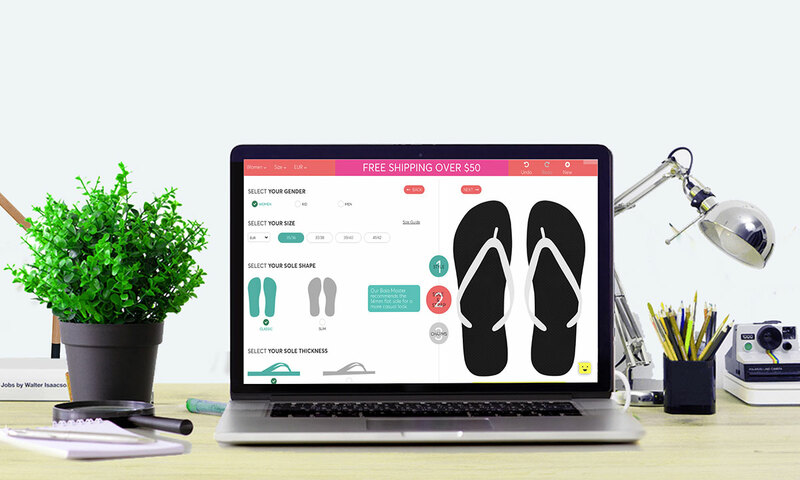 Other great functions that drive loyalty from customers include customising tab which allows customers to create their own flip flop by colours, style, pattern and materials; wish lists function is built for users to save “buy later” products if they want to purchase next time. Integrated with Paypal helps to secure all customers’ information during billing transaction in Baia Baia website.